Autoventshade - Full height, wrap around design for maximum protection. 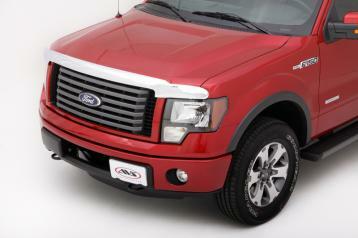 Thick "OEM quality" chrome plated ABS is corrosion resistant, Matches vehicle's chrome trim for a consistent look. Mounts away from hood for easy cleaning. Car wash safe. Easy to install with all mounting hardware included, No drill installation on many popular applications.